Natalie Wilson, Look , 'Centenarian sculpture: how the Gallery façade got its first bronze panel', pg. 16-17, Sydney, Mar 2003, 16 (colour illus. ), 17 (colour illus., detail). 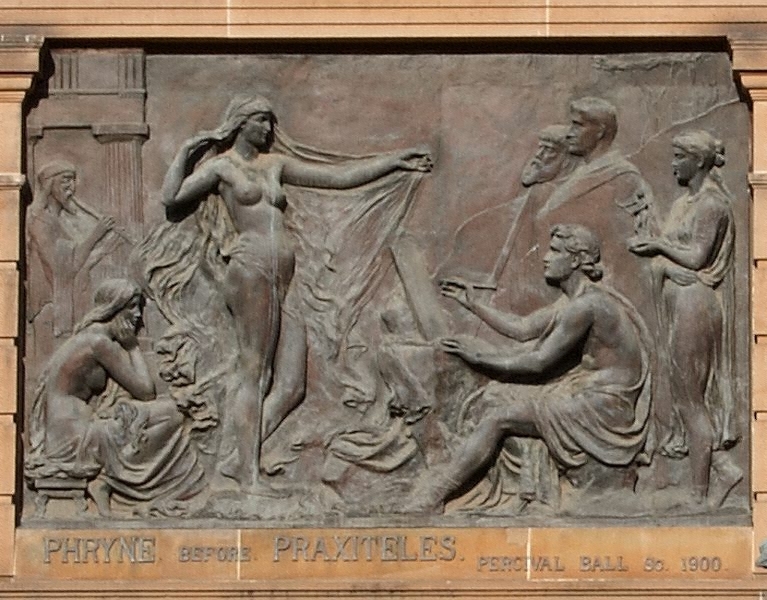 Sydney mail and New South Wales advertiser , 'Phryne and Praxiteles', Sydney, 08 Apr 1903, page unknown (illus.). Daily telegraph , 'Mural decoration at the Art Gallery: Unveiling a bronze sculpture', Sydney, 28 Mar 1903, page unknown. Daily telegraph , Sydney, 26 Mar 1903, page unknown. 'Tomorrow, at 2 p.m., the trustees of the National Art Gallery will unveil the bronze design, "Phyrne before Praxiteles," by the late Percival Ball. This work occupies one of the exterior architectural panels of the new wing of the gallery, and is the first of a proposed series of illustrations in bronze of different periods of art. The public are invited to attend the function'. The Sydney Morning Herald , 'National Art Gallery', Sydney, 28 Mar 1903, page unknown. 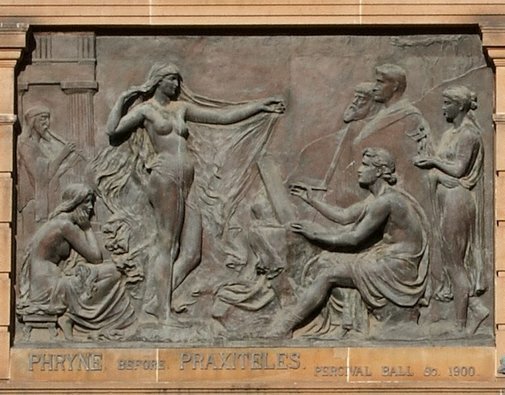 Description of unveiling of the sculpture which took place on March 27, 1903. Art Gallery of New South Wales Quarterly , Sydney, Jan 1972.